This workshop is intended to PhD students, postdocs, junior and more senior researchers who have interests in the development of publicly available tools and methods for reinterpreting the results of the LHC. 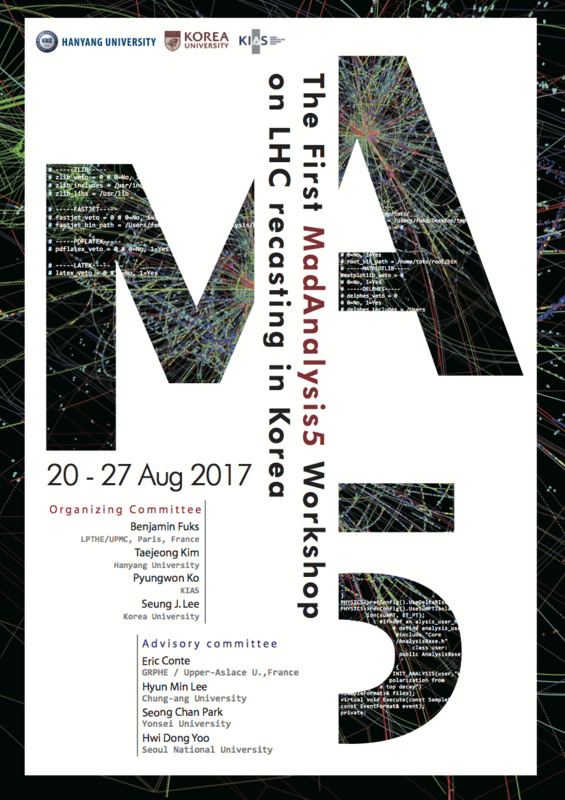 On top of general featured lectures on new physics theories and experimental collider physics aspects, the program includes both lectures and practical hands-on sessions on the reimplementation of an LHC analysis in the MadAnalysis 5 framework. Moreover, a particular attention is to be paid to the usage of such reimplementations for constraining any model of physics beyond the Standard Model. The workshop format aims to form working groups of 5-6 people that will work together, both during the workshop and in the following months, on a specific LHC analysis. The tasks that are assigned to each working group will range from the reimplementation, in the MadAnalysis 5 framework, of the analysis at stake, to its validation, submission to our public analysis database and usage for a concrete physics project.